#7-14 Game table and chairs of solid oak construction. Dark cherry finish. Removable table leaf. 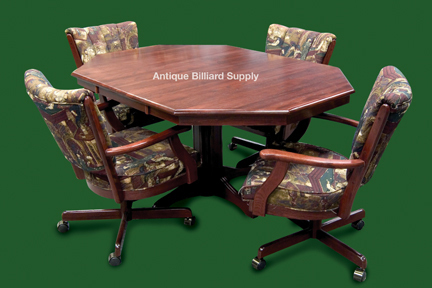 Color coordinated, stain resistant upholstery fabric features billiard scenes.